We knew it was going to happen. The weekend has ended and we're back at the start of the work week. I had an exceedingly productive weekend of cleaning the den (though, for a while, I thought I was going to just sit at a railroad crossing forever, as the train that was on the tracks simply stopped, and there was no real way to turn around). But getting things done was definitely had. And as we start this week, we look forward to next weekend, and the games we'll hopefully play, and the terrain we might be using in those games. 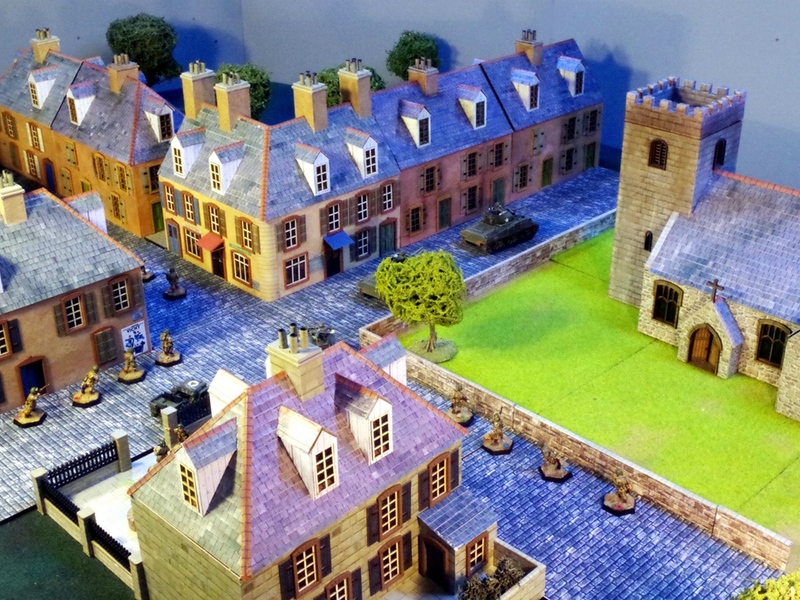 Today in the Terrain Corner we have: New Infinity Terrain From Warsenal, New Viking Buildings From Acheson Creations, Battlefields Normandy Bocage Map Available From Heroic Maps, and Big Book of Battle Mats Now Available. I realized, as I drove in this morning, this was the first Monday out of the last 3 that I'm just coming into the office to do my "regular thing." 2 weeks ago, I was leaving for Gen Con. Last week, I was just flying home from Gen Con. Man, that show really does eat up a large chunk of time. 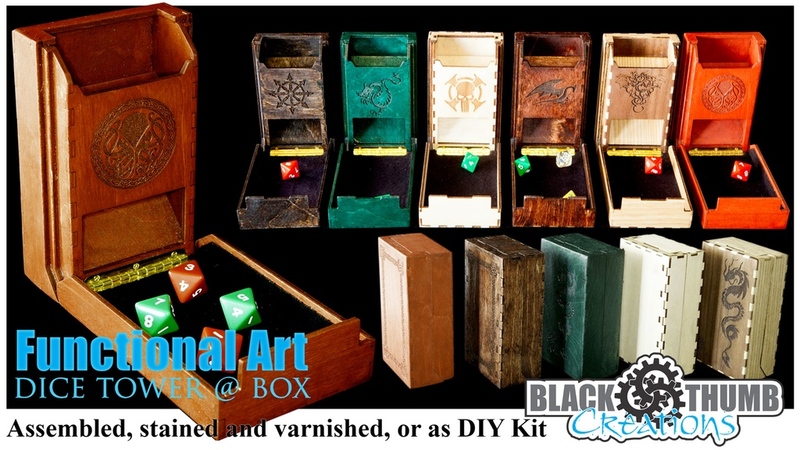 So, in the spirit of getting back into the regular routine of things, lets make your gaming tables look as good as possible. 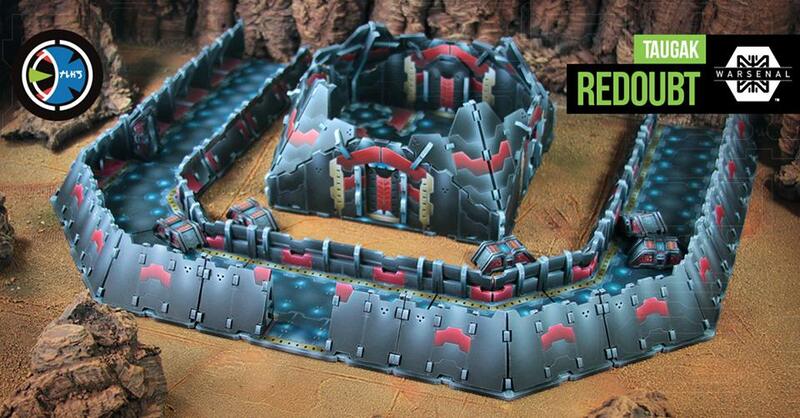 Today in the Terrain Corner we have: New Infinity Terrain From Warsenal and Ice Planet Gaming Mat Available From Pwork Wargame. Hey everyone. I hope you're enjoying your Monday. For those of you with the day off, I hope you're having a great time. I'm still posting, obviously, though from home. That's after yesterday spending most of it playing games and eating some great food with friends. We got in some Lanterns, some Addictive Alchemy, some Raise Your Goblets, and some Ethnos. There were also burgers, Swedish meatballs, pie, and orange curd. But what we've got today is terrain. Today in the Terrain Corner we have: Brigade Models - Final Salute Releases On Website, New Dark Age releases from Warsenal, Ramshackle New Shop with New Products Up and Running, and Oldhammer Resin scenery by Apocalypse Miniatures Coming to Kickstarter. It's been a very busy week. What with 2 days of travel and then yesterday being the start of Gen Con. As such, I didn't get a chance to type up yesterday's Terrain Corner. So, as I've got a couple minutes here back at the room (phone's gotta charge, because without a charged phone, that means no photos. No photos means sad TGN viewers. Charge, phone! Charge! 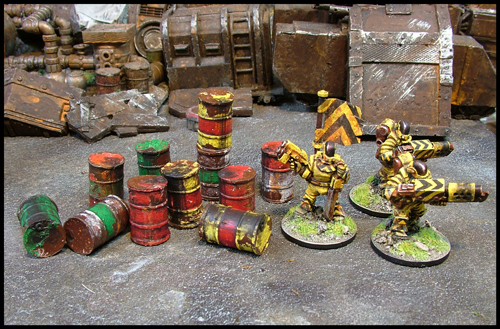 ), I wanted to give you both your Terrain Corner as well as your Friday Snippets all in one. So, in this installment we have: New 32mm and 40mm Ruins of Sanctuary Base Sets From Tabletop-Art, Worldographer: Hexographer 2 Kickstarter now live, Warsenal GenCon New Release - Taugak Redoubt, Modular City Terrain Tiles Available From Crossover Miniatures, Lifeless Land: Pwork Wargames Sci-Fi Mat Now Available, New Ruined Graveyard Walls available from Skull Forge Scenics, Kromlech New Release: Legionary Sentry Guns, Brigade Models Release 15mm Scenic Items, and Final Days For Willy Miniatures Dwarf Fantasy Sports Team On Kickstarter. Hey everyone. I hope your Tabletop Day yesterday was good. I hope you enjoyed the Unboxing of Lost Patrol. I'm spending much of the day today putting together that set so I can try it out over the coming weeks. I'm also going to be baking German Chocolate Cake Cookies. Yes, they will be as good as they sound. 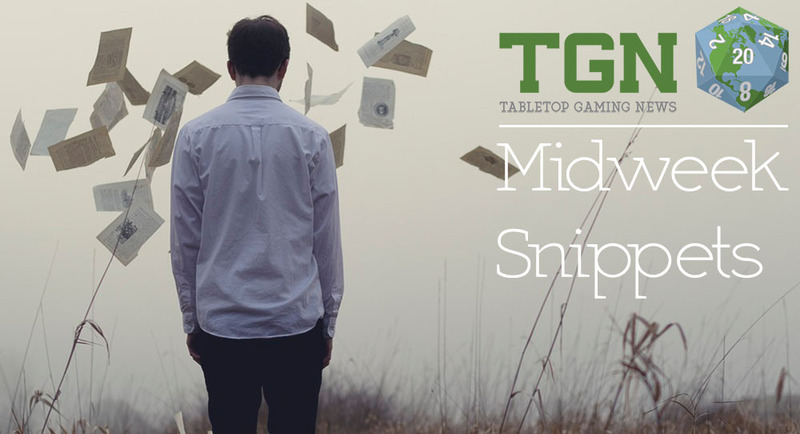 But in the meantime, let's nosh on some bite-sized gaming stories. Today we have: Dice Tower Awards Nominees Posted, Warsenal new Limited Edition Infinity the Game Unit Markers for April, Functional Art - Dice Tower & Dice Box On Kickstarter, Final Hours for Moscow '41 On Kickstarter, KaYo Miniatures Running Simplicity 75mm resin cast Miniature Kickstarter, and Final Week for Xibalba On Kickstarter. We're working our way there, everyone. We've made it to Thursday. Just the rest of today and then Friday and we'll be set for the weekend. Mine's looking like it'll be full of teaching someone Warmachine and then actually getting Guild Ball out on the table and playing. Both of those games need some terrain to really mix things up. I mean, sure, you could play them on flat, open boards, but where's the fun in that? Thankfully, there's terrain options. 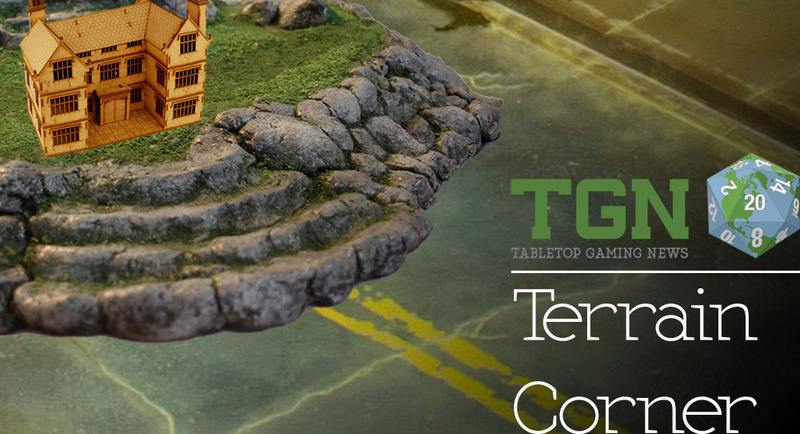 And we've got some more options available with this Terrain Corner. 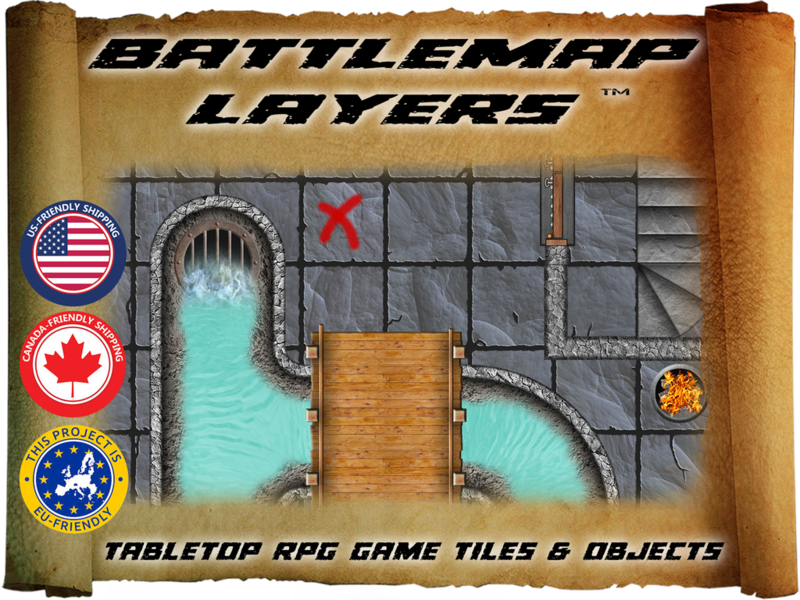 Today's articles include: Battlemap Layers Up On Kickstarter, Victorian Steampunk Modular Tabletop Terrain On Kickstarter, Warsenal releases Cosmica Wave Two for Infinity, Pwork Releases Darkburg Fantasy Gaming Mat, Manorhouse Workshop Update #13 – Inside the ruins, and Acheson’s Dungeon Worlds KickStarter Releases New Products. For me, at least, the relaxing day of the week. Sure, there's chores to do like laundry and cooking for the week, but overall, it's a day to just relax a bit. Also, I'm told there's some major sporting event-thing going on today. Ok, I know it's the Super Bowl. But I'm more of a "hockey" guy than a "football" guy. But hey, if you are going to watch the Super Bowl, nothing goes better than a bunch of bite-sized snacks. Speaking of bite-sized, here's some bite-size stories to munch on. Today we have: ADAPT Card Game Reaches Funding Goal, Nightmare Forest: Dead Run Reaches Funding Goal, New Old West Releases From Knuckleduster, Battle Arena Show Reaches Funding Goal, New Statuesque Asylum character and TWO new sizes of female head sprues, New Warsenal Limited Edition Unit Markers for Infinity The Game Released, New Video Preview for Polyversal 6mm SciFi Game, The Rhinotaur Added to Circle of Chaos Kickstarter, Age of Tyrants announces how to play videos, The Dryden Heavy Destroyer Miniature is Now Available, and Mountain Miniatures preview pics for End of Times Kickstarter. Well, we're working our way through it. The work week is just about half-over. I hope it's going well for you. It's been alright over here. Gotten a lot of stuff done already this week. Hoping to keep the productivity up. Anyway, at the moment, we've got some snack-sized stories for you to munch on. Today's installments include: WizKids Show and Event Schedule for 2016 Posted, Two New Helmet Styles Available From Puppets War, New Infinity Tokens Available From Warsenal, Tor Gaming Player Survey Up Now, New Iron Reich Goblin Commander From Kromlech, New Bonefield Round-Lip Base Deals Available From Tabletop-Art, Syrinscape’s Turn of the Torrent SoundPack Now Available, and Summoner Wars Second Summoner Playtesting Starting. 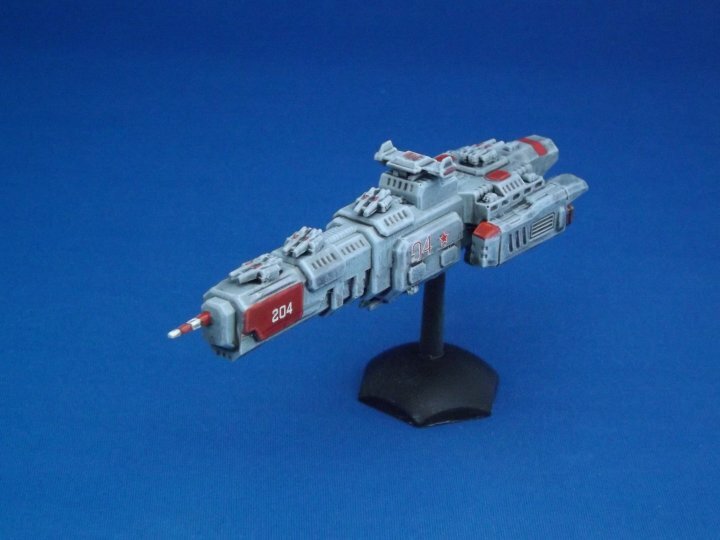 Games Workshop isn't the only one having a Cyber Monday Sale (well, besides the companies having sales that started Friday and are lasting until the end of today). Warsenal is doing the same. 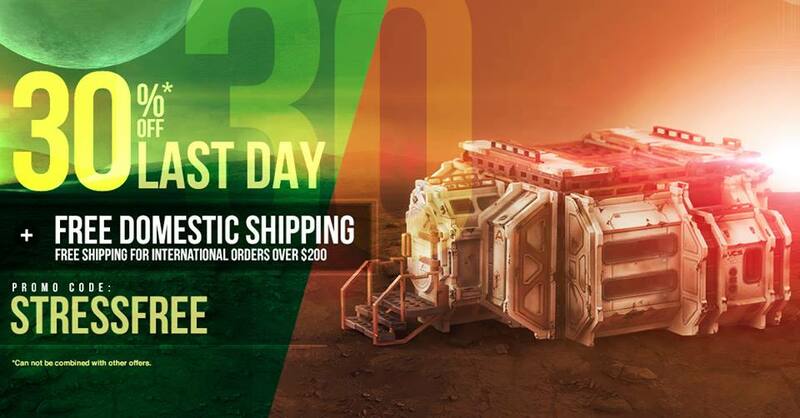 You can get 30% off your order in their webshop only through the end of today. Oh, hey there, Monday. Didn't really see you there. You just kinda came up out of nowhere, it seems. But since you're here, that means it's time to make everyone's terrain tables just that much better with a Terrain Corner segment. Today's articles include: Warsenal Releases The Terrain App and 28mm Norman Church with Spire Option Added to Sally 4th Kickstarter. I trust that everyone had themselves a safe and fun Halloween. Anyone see any good gaming-themed costumes out there? Also, did you enjoy the extra hour of sleep afterward? That's the part I enjoyed the most, I'd say. But then, I'm a bear of simple pleasures. Like how this morning, the month already started off with some Guns 'n' Roses weather. So as we sort through our Halloween candy let's take a look at some bite-sized stories, shall we? 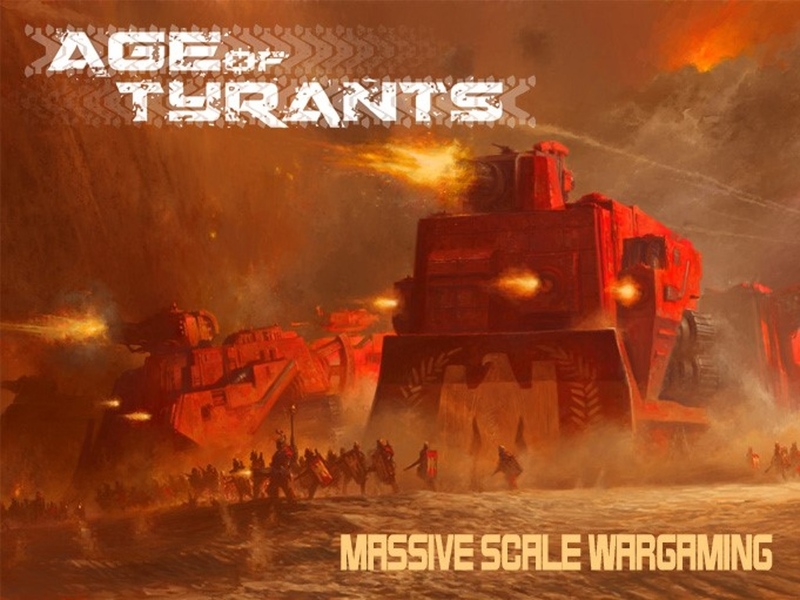 Today we have: New Anti-Elephant Wagon From Xyston Miniatures, Brigade Models Releases New Neo-Soviet Dreadnought, New Limited Edition Markers from Warsenal, Deraj Studios Announces November 6th Kickstarter Launch, and The Liche Lord free in all orders during November 2015 at Alternative Armies. So yeah, we're making our way through the week. Let's get you some bite-sized stories that we've come across recently. In today's batch we have: Warbears and Stagriders Kickstarter Announced, New 20mm Car Conversion Set From Ramshackle Games, Good: The Battle Halloween Special Rules Available Now, Geek Fever Games and Firepeng Games Join Forces, Cul-De-Sac Conquest Heading Through Stretch Goals, Ratgard: Badger Multiple Launch Rocket System Now Available, New Infinity Status Discs from Warsenal, Scotia Grendel New releases, Happy Seppuku Passes Kickstarter Goal, Mr. Maksimov's Manor coming to Kickstarter in January 2016, and Aquelarre Dark & Mature Medieval RPG On Kickstarter. Is anyone else's week just racing by? It's already Thursday! I... should probably think about making plans for the weekend. Maybe get some gaming done. I've got some prototypes of games I need to look over for reviews. Gotta polish up some review articles as well. It's just all sorts of fun going on. Anyway, as for right now, it's time to make your gaming tables look as good as possible with some new terrain. The week is progressing along. The turbulence of Monday starting to calm slightly on Tuesday and hopefully continuing into today. Let's not jinx it by being overconfident, though. There's plenty of week left to go. In the meantime, Wednesday means posting a collection of bite-sized stories. 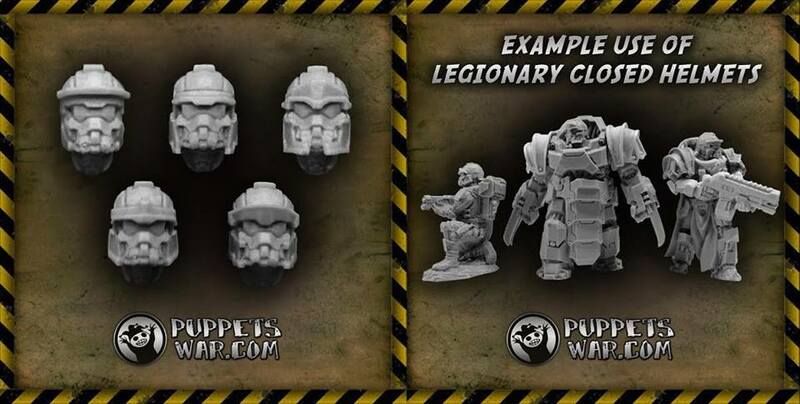 In today's batch of snippets we have: New Warthrone approved army list: Orcs & Goblins from Warhammer, Onus! Rome vs. Carthage English Edition Coming to Kickstarter, Foxy and her gang are re-released at Statuesque Miniatures, Secrets of the Lost Tomb: The Elite Missions over 900% Funded, New 15mm Normans from Baueda added to Indiegogo, Two New Releases From Hitech Miniatures, Taranis Tracked Tanks by Bob Naismith offers now live from The Ion Age, New Infinity Limited Edition Unit Markers from Warsenal, and 11 Days Left in Cabals Kickstarter. Man, it seems Monday's really taking no prisoners among my friends today. One's having car trouble. Another is just slammed with things at work. I know I woke up thinking that 5am was feeling a lot earlier than it usually does. I'm hoping that your Monday isn't kicking as hard as it seems to be for other people that I know. 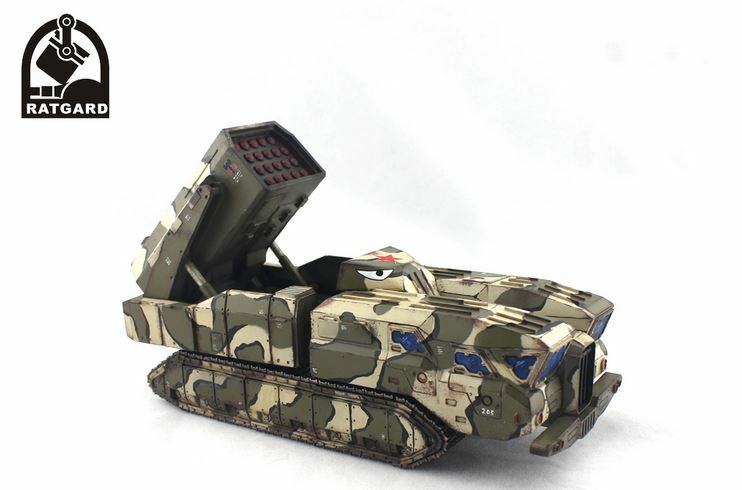 Something that might help out is looking at some cool terrain and possibly adding it to your own collection. So let's do that. Today's articles include: Warsenal Releases Comanche Forward Operating Base, Pwork Wargames releases RPG Tabletop Battlegrid, and Manorhouse Workshop Update # 4 – Modular Terrain: Skirmish & Wargame. And we've arrived. Friday. Such a great feeling. The weekend is just ahead with all the possibilities that it brings. I hope you've got some gaming lined up for yours. It is the perfect time for such things, after all. Friday also brings us a new batch of bite-sized stories. This group includes: Brigade Models - new 15mm SF Utility Vehicles, Khurasan releases 15mm Stryker, Raid & Trade: War on the Streets Coming to Kickstarter, Wisdom from the Wastelands Issue #51: Mutated Animal/Plant Genotypes, Fat Goblin Games to release new Shadows over Vathak Corebooks, Orctober Speshuls From Kromlech, 2015 Update for "Spiel in Essen" App by Gioconomicon.net, Ancient Samnites Previewed at Victrix, Contemptor Pattern Volkite Culverin Available to order from Forge World, and Spawn of Sharktipede Up on Kickstarter. Friday, glorious gatekeeper to the weekend. For many of us, just a couple more hours until we, giddy as schoolchildren, run out of our offices and into several blissful days of doing... just... whatever the hell we want. Friday also means a bit of a smorgasbord of bite-sized stories we've collected. In this batch we have: Artana Launches The Best Damn Gaming Coins Ever...Two Kickstarter, Dungeon Crawler Minis Kickstarter: The Behemoth, DrunkQuest Kickstarter Stretch Goals announced, Imaginative Miniatures New Releases, Releases for September from The Ion Age, Alkemny's Kickstarter to Launch Next Month, Warsenal Limited Edition Unit Markers for Infinity, Dark Art Studios Posts Autumn Releases, Khurasan releases 18mm WSS Austrians/Imperials, and Brigade Models Release 15mm Indonesian Grav Tanks. Warsenal has new template sets for all you Dark Age players out there. All the templates you need to get started with Dark Age. We worked directly with Dark Age to make sure we were bringing you the best possible templates for this fantastic game. The full set contains the spray, stream and all three sizes of blast templates. 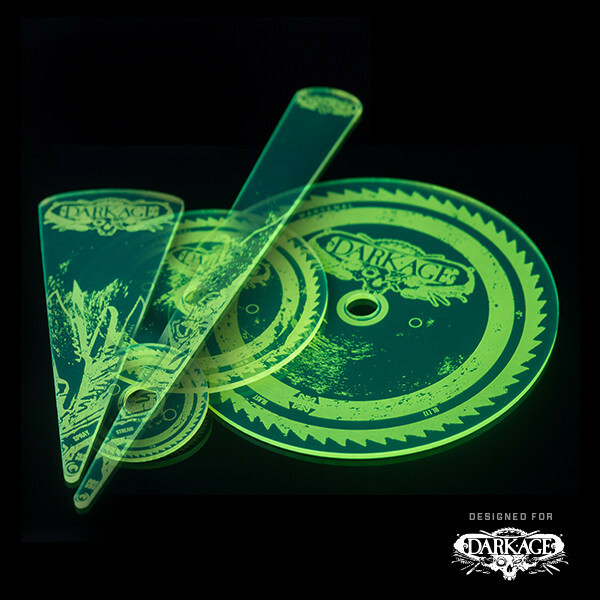 All items are precisely cut from 3mm fluorescent acrylic. Warsenal is running a special sale on their Infinity templates over in their webshop. In order to help with those who bought templates right before Operation Icestorm we're holding a sale on the new Infinity templates. This sale will last until midnight Friday. Use the discount code: 5NDFM7VQSCS5 during checkout to get the discount. 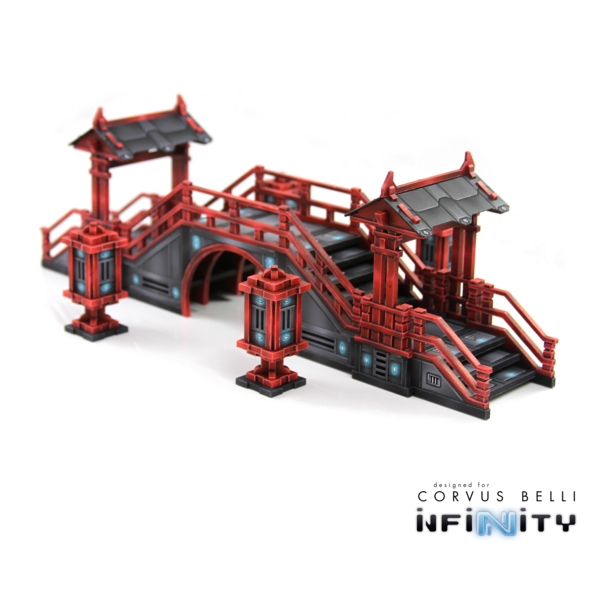 Warsenal gives you more terrain options for your Infinity games with the release of their new Comanche Barracks. Every soldier needs a bunk. This two story building provides a lot of playable interior space. We've even included a bathroom! Underneath is parking for remotes or bikes. Exterior walkways provide cover for units to patrol. 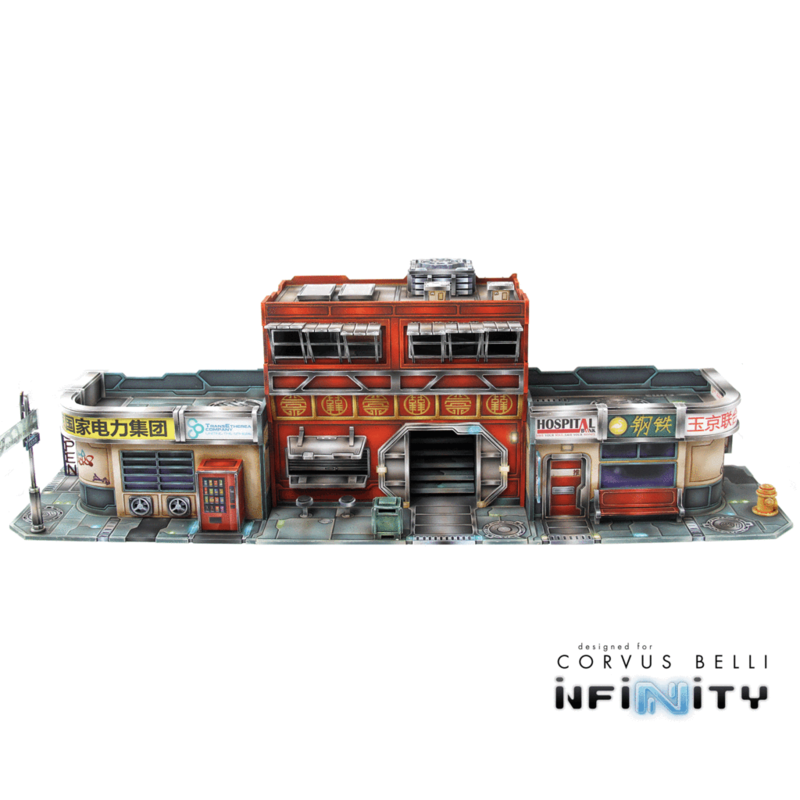 Affordable without sacrificing detail this building will make a great addition to any table and looks great along side our Command Bunker and Comanche Pillboxes. 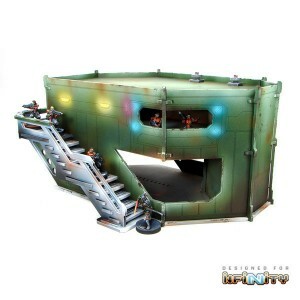 Warsenal created a fun, little, sniper's hangout for your games with the release of the Spetznazs Tower. 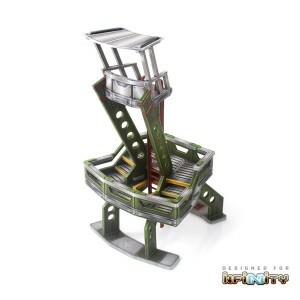 Protect your Comanche Outpost in style with the Spetznazs Sniper Tower. With multiple levels and easy access this perch looks great on any table. Position with care though, standing 9 inches tall this tower can dominate most tables! Warsenal has some new sidewalks for your little mans, and some new barricades to keep your little mans from potentially walking on the aforementioned sidewalks. We've released a few new sidewalks and some construction barricades to help fill out those streets on your table. Warsenal has some new accessories that match their Shipping Containers that they've made specifically for Infinity. Check out these new upgrades for a few of our favorite pieces. You can finally connect two groups of Shipping Containers and keep cover the whole way. With the new Ladder door you can climb as high as you need to get that perfect vantage point. Last but not least we've made a drop-in replacement for the Command Bunker doors to fit the new ITS mission rules.